The story dates back to 1857. The unsuccessful attempt by Indians to over throw the Imperial Government was over and British soldiers were repressing and killing the Mughal Officers. To escape, one Mughal kotwal (Chief of Police or present day Police Commissioner) along with his family escaped to Agra. Of course on foot and horses or bullock carts as there were no planes or trains at that time.There were no photographs as well. It is stated that as per records, the name of last Kotwal under King Jafar was Qiazuddin Qazi. So far no controversy. But as per the biography of Jawaharlal Nehru his grandfather was also Kotwal in Mughal government in 1857 under the King Bahadur Shah Jafar. He also migrated to Agra with family. Similar facts! But name of this Kotwal was Ganga Dhar. A Hindu! Mughal did not trust Hindus (except Rajputs) to employ them on a high post like Kotwal. There was always one post of Kotwal who happened to be highest ranking police officer. Did Nehru commit a fraud on nation? Is Nehru family deceiving the nation everyday? 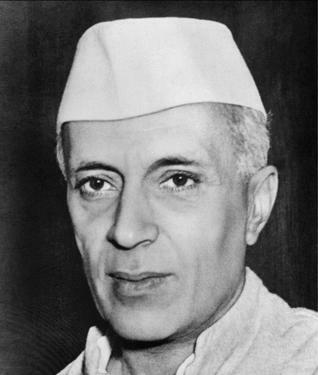 What is the truth about ancestry of Jawahar Lal Nehru? Was Jawahar Lal Nehru a Muslim? Does Nehru family use religion and identification names like costumes? Different names for different occasions or eras or countries? Do they change ideologies, Religion, Names as per occasion? Are they human chamelot who changes colour without any allegiance to any one? While Firoze Khan (surname later changed to Ghandhy and Gandhi) was buried, Indira was given grand Hindu Cremation on Sandalwood pyre, in full public view televised across the nation. We do not know till this day as to what is the religious allegiance of Rahul Gandhi or Sonia Gandhi. Are they Hindu? Are they Muslim? Are they Christian? Are they Agnostic or Atheist? Or a non practicing Hindu like me? Or a Non practicing Muslim like Ghalib? Who are they? Aliens? It is unfortunate that those who rule the nations for generations and still aspire to rule, have such obscurity over past or secrecy over their personal affiliation. I wonder if these questions will ever be answered by any one or even looked into or investigated. History is dead fiction but every second building is named after a Nehru. That is a fact and present. Should national resources be named after decepticons, liars and manipulators? This entry was posted in History, Politics and tagged Ganga Dhar Nehru, Indira Gandhi, Jawahar Lal Nehru, Qiazuddin Qazi, Rahul Gandhi. Bookmark the permalink.